If you read this blog, you know that I don’t like fennel. In fact, it is on the banned list of foods in my house, but this is the second time I got a bulb of fennel in the CSA. Last week I gave it to my neighbor. This week I decided to be daring and roast it. Roasting usually brings out the sweetness of the vegetable, so I bet it would at least mellow the licorice flavor. I won my bet! 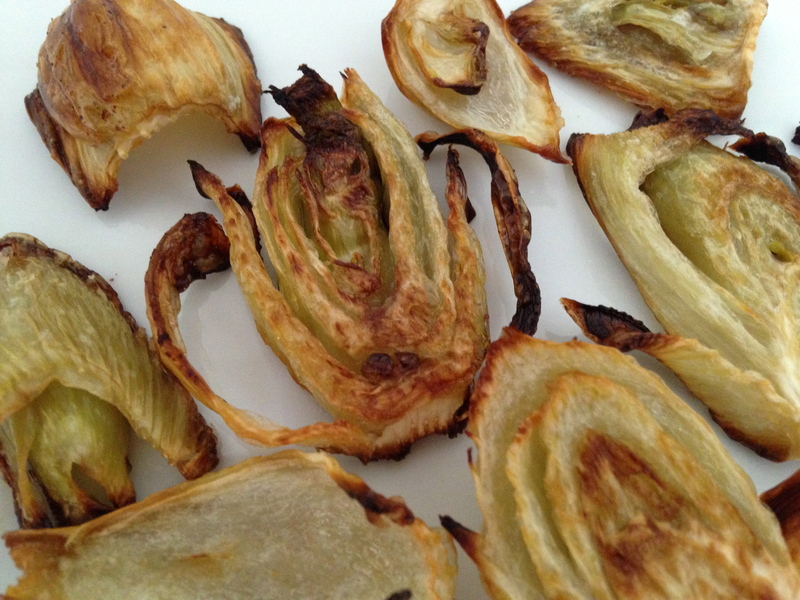 I am going to admit right here right now that I am actually eating roasted fennel as I type this. Yes, me! I can’t believe it either. I am surprised because when I was cutting it, the black licorice smell almost threw me over the edge. But, lo and behold! The roasted fennel is a winner. Who would have thought? Cut the fennel fronds and then slice the fennel. Toss with a small amount of olive oil and season with salt. Turn out onto a baking sheet and roast at 425 for 25 to 30 minutes until nice and browned. Enjoy! The look good! I have never had it, but I actually just put it on my shopping list today to buy for this week! i am telling you, seriously, i have avoided fennel my entire life. raw, no way. roasted, yes way! i just ate the rest cold and it was even better. tell me how you like it!